It was a popular coin when in circulation and is now popular with collectors as it has a long history and many nice specimens can be obtained at affordable prices. They are small coins, the last minted had a diameter of about 19.4 mm. Since decimalisation on 15 February 1971, we (the UK) have £1 = 100p, that is One Pound = 100 pence, but before decimalisation the breakdown was very different. One Pound = 20 shillings = 240 pennies. Or One shilling = 12 pennies. So a sixpence is 6 (old) pennies or half a shilling. One fortieth of a pound. In today’s money it would be worth 2½ pence. 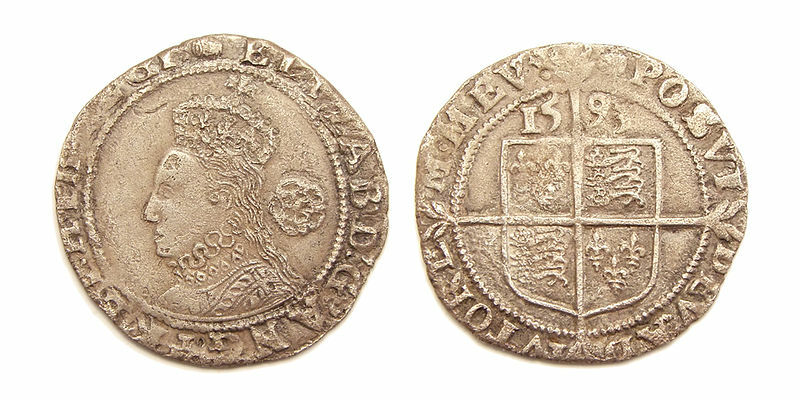 Silver Sixpences (half a shilling) have been minted since 1551 in the reign of Edward VI, and were minted by every British Monarch since then. The sixpence originally appeared due to the debasement of silver coinage prior to 1551. By the mid and late 18th century when Britain was moving through an Industrial revolution there was a huge demand for silver coinage. The French Revolutionary Wars (1792-1802) and the Napoleonic Wars (1803-1815) made the silver and gold shortages even worse. 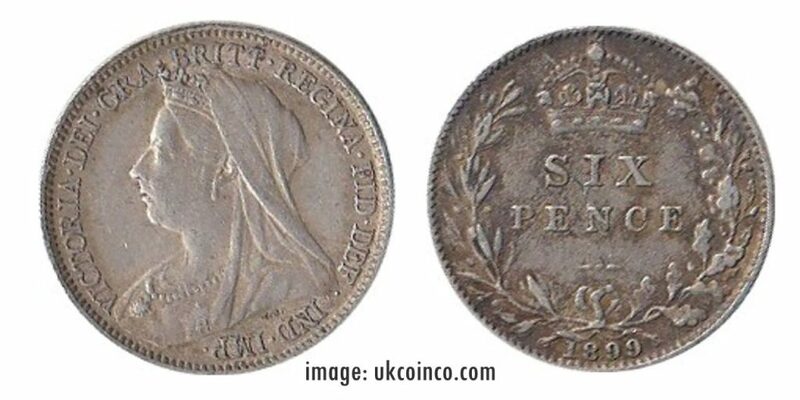 In the Great Recoinage of 1816 the British Government made a massive attempt to stabilise the currency and the sixpence (with other silver coins) moved to a new standard Sterling Silver, at 0.925 (92.5%) silver. Sterling Silver remained the standard until the World Wars took their toll; the sixpence became 50% silver in 1920 and then zero silver in 1946. The coin became cupronickel (75% copper, 25% nickel). The Sixpence coin was more often referred to as a Tanner. 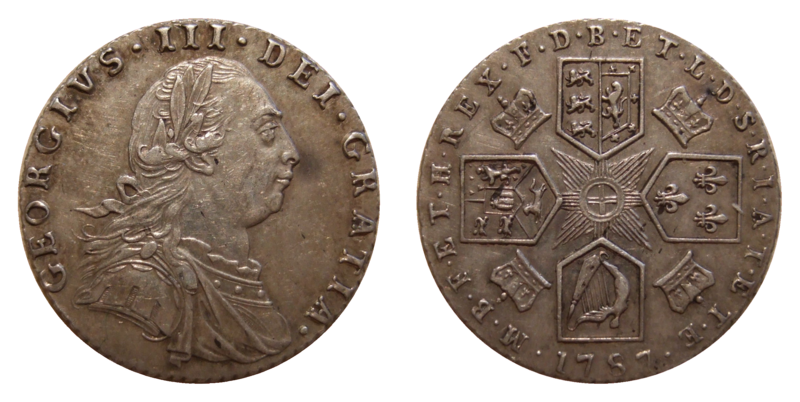 Although there is no definitive etymology for this term, the main contender is John Sigismund Tanner (1705-1775) who was Chief Engraver of the Royal Mint during the reign of George II and was the designer of a sixpence. The other alternative may be the word derived from a Romany word tawno, meaning small thing. 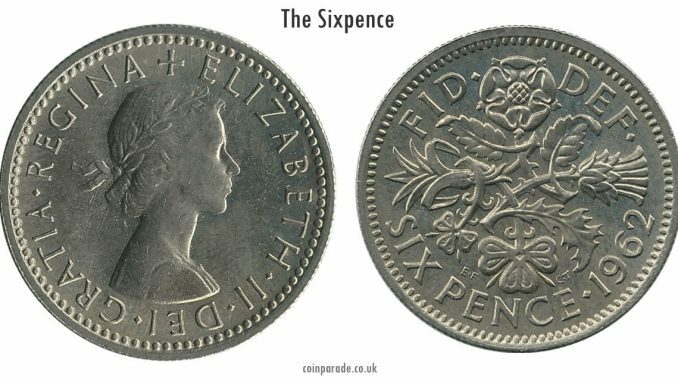 A long time ago a sixpence was also know as a Bender. When it was a thin, silver coin it could actually be bent it with bare hands. You could leave teeth marks in it too! In today’s market, 2½ pence is close to worthless, but in the early 1800’s a sixpence was close to half-a-days pay for a labourer. In those days pub prices were quoted in ‘pints per pence‘ rather than ‘pence per pint‘ so a sixpence had a bit of spending power. In Victorian times you could buy enough beer to get drunk with sixpence, which some say led to the British expression of intention to have an inebriated night out as ‘Going on a bender’. My thanks to ukcoinco.com for providing some of the images for this article. ukcoinco are sellers of sixpences and many other pre-decimal coins. 1920 - 1936 King George V Silver Sixpence Coins - Choose Your Year!